James Cook University’s (JCU) innovative Green Bike Fleet programme gives new love to abandoned or unwanted bike. The programme has restored over 400 second hand bikes and sells them at a low cost to JCU students. The programme is so popular that bikes are often in short supply. Students also have the option of returning their bike at the end of the year for a reimbursement. In addition to this project, the school has created an environment with a wide network of bike lanes, free bike mechanic services, a support group for cyclists and plenty of bike parking and shower facilities. 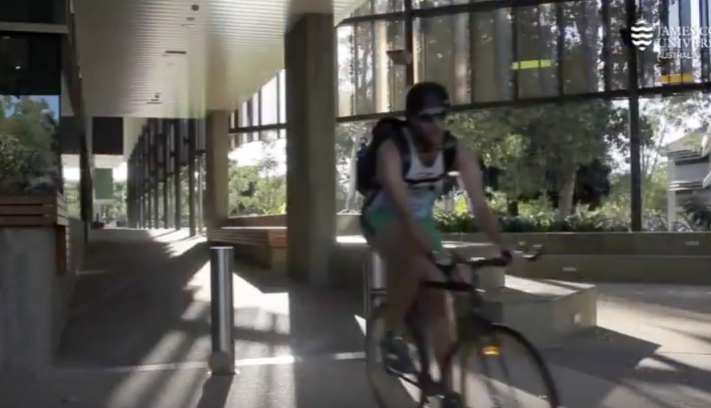 For those who don’t get their hands on a Green Bike there is a popular bike share programme on all three of JCU’s campuses.